The Sundance Mountain Radio Association recently filed a Petition for Rulemaking asking the FCC to reestablish consistency between the call area indicated by an amateur radio callsign and its actual physical location. The current rules allow an amateur radio licensee to retain their current callsign when moving to a new call area and to operate outside of their normal call area without any special indicator. The proposed changes would no longer allow this practice and would force a change to all existing licenses to match the station location indicated on the amateur radio license. The petition proposes that the FCC automatically modify all amateur radio callsigns in the Universal Licensing System such that the call area indicated in the license matches the station location on record. For example, a licensee with the callsign W6ABC living in Texas would receive a new callsign, W5ABC. In the event that W5ABC is not an available callsign, W6ABC would receive a sequentially-issued callsign from Group A, Group B, Group C or Group D, depending on license class. The petition proposes that all future changes in station location be subject to the same procedures, ensuring that all callsigns are consistent with geographical call area. In addition, all vanity license applications must conform to this rule. Radio amateurs operating outside their call area temporarily will be required to identify as “portable” or “mobile” and indicate the actual operating call area (e.g., W6ABC/5). Please note the date of publication. The post Radio Club Petitions FCC To Fix Call Area Confusion appeared first on The KØNR Radio Site. I fully agree with the reasoning of the petition. it’s been too long…….I don’t think that dog can hunt. I wholeheartedly agree. Especially for those who have callsigns that belong to DX entities! It is especially confusing also to hear a KG4 station assuming it is Guantanamo Bay and find out the operator is in Georgia or other 4 call area states. Same is true for Antarctica. I moved to Florida from 2 land 35 years ago I wanted to get a vanity call of ae4dx but the call was taken so being from 2 land originally I request and received my present call AE2DX changing it back to the way it was I would lose my call or have to change it to 4 call. Not feasible with all the hams who have moved to new locations and have their own calls or carried on their family members call from many years before from a place they may now not live, Just check the call on QRZ or most logging programs will tell you the location when logging in the call. Must be an April fools joke. The FCC has better things to do that reassign thousands of callsigns. I have been licensed for over 60 years and it does not bother me one bit to ask the guy where he is located. A few years after I moved from Ohio with my “8” call to Washington state, there was a 6 meter contest going on, and a few local guys were ragchewing waiting for calls, propagation wasn’t that great, and I came back to them. They all almost fell over each other to work an “8” area until I told them I was in the same county. 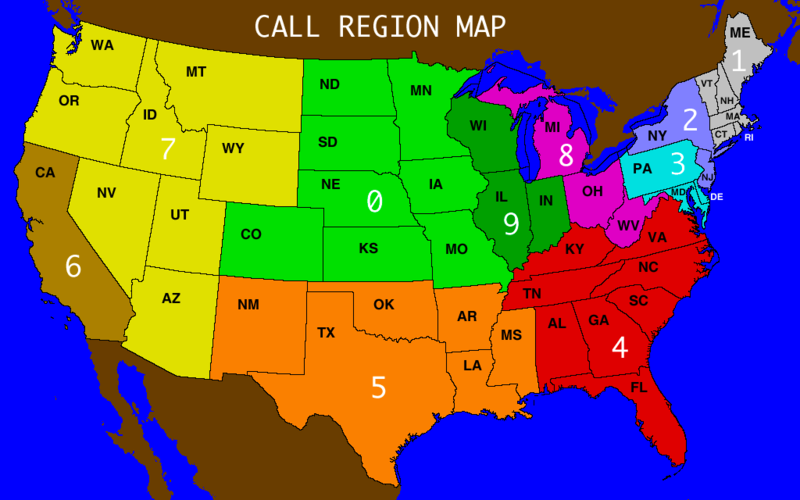 Joke or no joke, I remember days were you had to get a new call if you moved to a different call area. The decision to stop changing callsigns to match locations, was at best dodgy and ill conceived. It saved the FCC a few dollars and got rid of some old employees. It did however lead to mass confusion as to location and intent of licensed ham radio operators. I have had calls in U.K., Germany, Italy,Greece, Oregon, Mass, Va, NC and Texas. I guess it gives the gov the ability to track the call to find you. A tempest in a teapot?? Changing call signs per local is a tremendous burden on the FCC. Some with life long call signs that retire and move to Florida don’t want nation wide HAM friends to get lost. Some of these folks are proud of their call sign and how long they have had it. Instead of changing the call sign let’s develope a HAM wide volunteer program to add to the end of our call sign the national location, using the existing grid, if in fact we xmit from outside the grid location indicated in our license. I am nomad, my address is a mail forwarding system. I certainly don’t want a new call sign every month or two. So, please petition the FCC to make this a proper call sign; KEOTFX OR KE0TFX7. All concerns are met, you know who is on the other end and where they are calling from. It’s a good thing that was a joke, because that would have been a ridiculous move. Where was you when the FCC changed this very rule. Live with it.